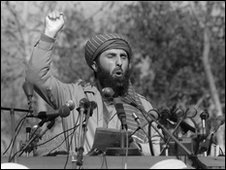 Mr Hekmatyar's mujahideen faction, the Hezb-e-Islami, was one of the groups which helped end the Soviet occupation of Afghanistan. 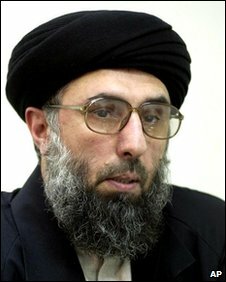 The civil war also led to Mr Hekmatyar's fall from grace - he quickly became one of the most reviled men in the country. A spokesman for Hezb-e-Islami in Pakistan said Mr Hekmatyar was now giving full support to the Karzai administration, although the warlord's whereabouts remained a mystery. The US continued to tighten the screw and was reportedly behind the arrest in Islamabad in October of Mr Hekmatyar's son, Ghairat Baheer. Mr Hekmatyar's response was defiance. At the end of that year, he warned that a holy war would be stepped up against international troops in Afghanistan. 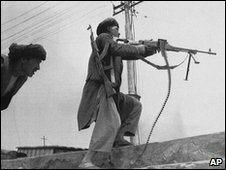 The message read: "Hezb-e-Islami will fight our jihad until foreign troops are gone from Afghanistan and Afghans have set up an Islamic government."